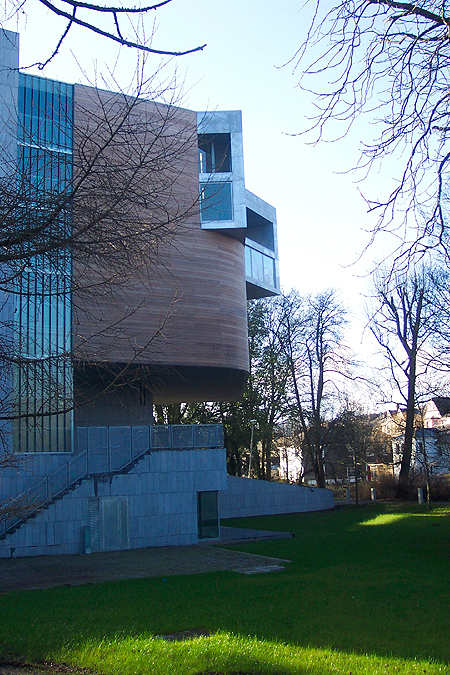 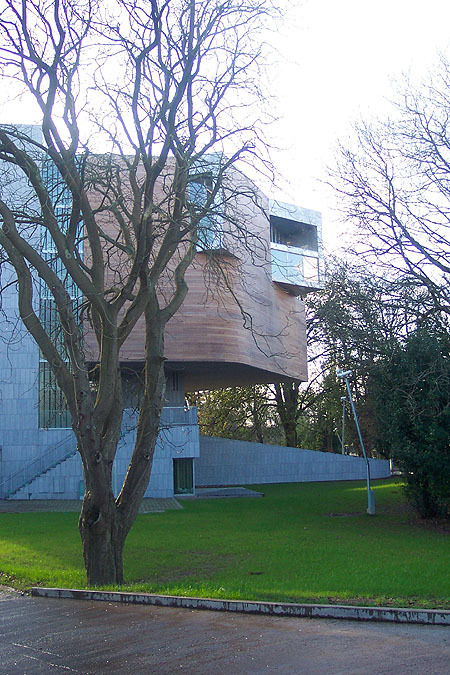 The Lewis Glucksman Gallery, located at University College Cork’s main entrance on Western Road, is a major new addition to the vibrant cultural life of the Munster region. 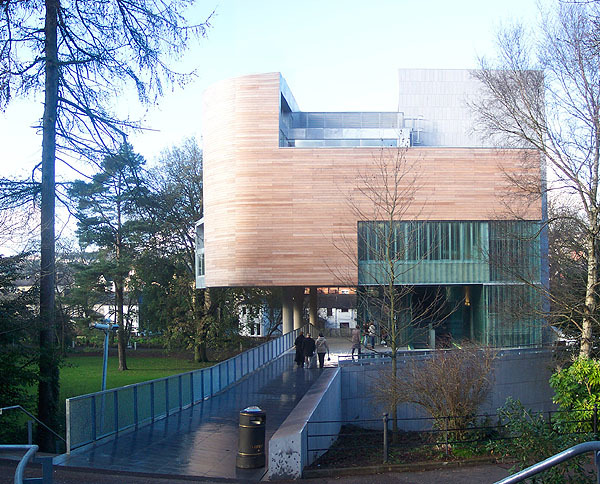 The gallery, designed by O’Donnell Toumey Architects, is a landmark building with four impressive gallery spaces, lecture facilities, a riverside restaurant and shop. 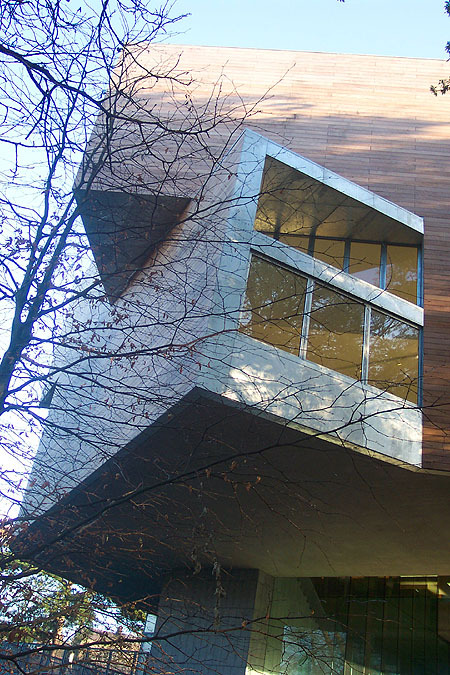 The building floor area is 2300mÂ² spread over 7 floors. 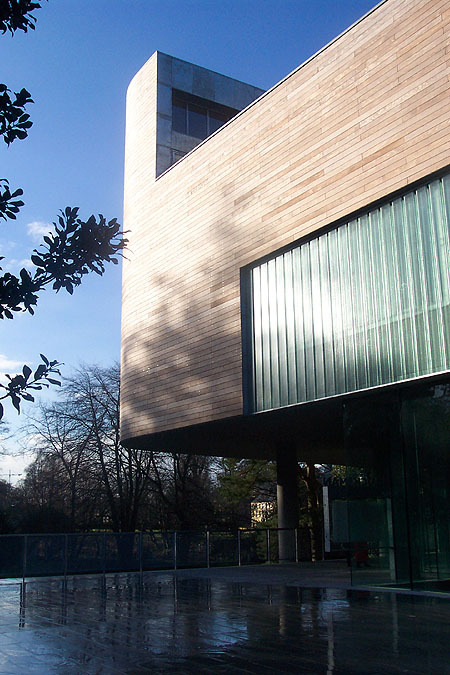 The architects took the surrounding mature trees as a reference for the height of the building, and care was taken to preserve them, consequently avoiding that barren look that so many new developments suffer. 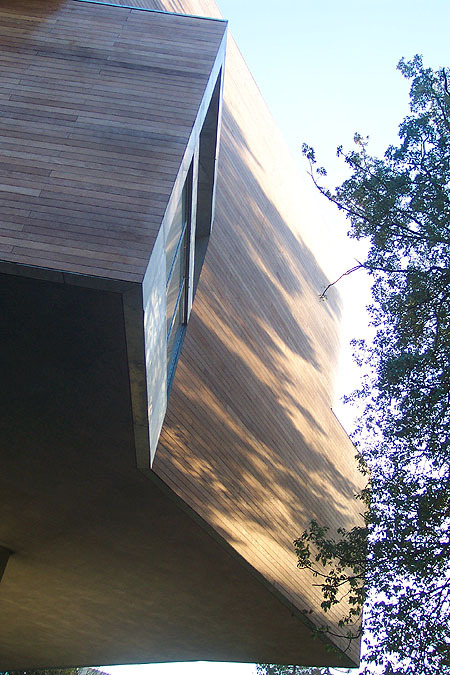 Use of materials also works in the building’s favour, with the lower levels defined by limestone, and the upper areas in American oak.